WhatsApp is really taking many important decisions to reduce its piracy as we can see in the passing days, WhatsApp Plus users got banned (Although not a permanent ban but for a day or two) and now it is expanding its venture by introducing WhatsApp Web using which one can Use WhatsApp from Chrome directly on PC or Laptop and thus ending the need for third party Software that were used to Install WhatsApp on PC. This is quiet Intelligent step from WhatsApp Inc to give Real Time access to WhatsApp users worldwide via their Chrome Browser directly. 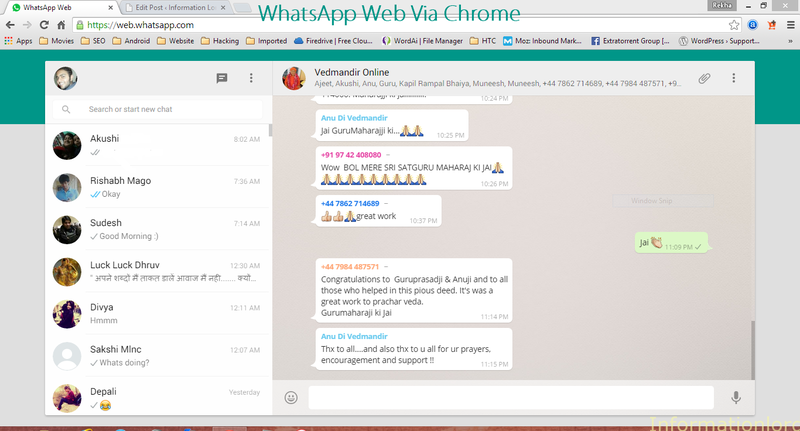 Understanding Working of WhatsApp Web : WhatsApp web works on Online Sync process, i.e first the message arrives to your WhatsApp installed smartphone and thereafter the same is synced to Chrome Online. Therefore the user needs to be connected to the Internet on phone as well as PC or Laptop. Online WhatsApp Service creates a link between your phone and your browser and henceforth enables us to Send and Receive messages online. Install the latest official WhatsApp for your Smartphone. One can navigate to Official WhatsApp Download page from stock browser of their smartphone and henceforth proceed further. Your phone needs to be connected to Internet in order to sync the messages online received by your phone. You will be provided with the QR Code as you can see above. 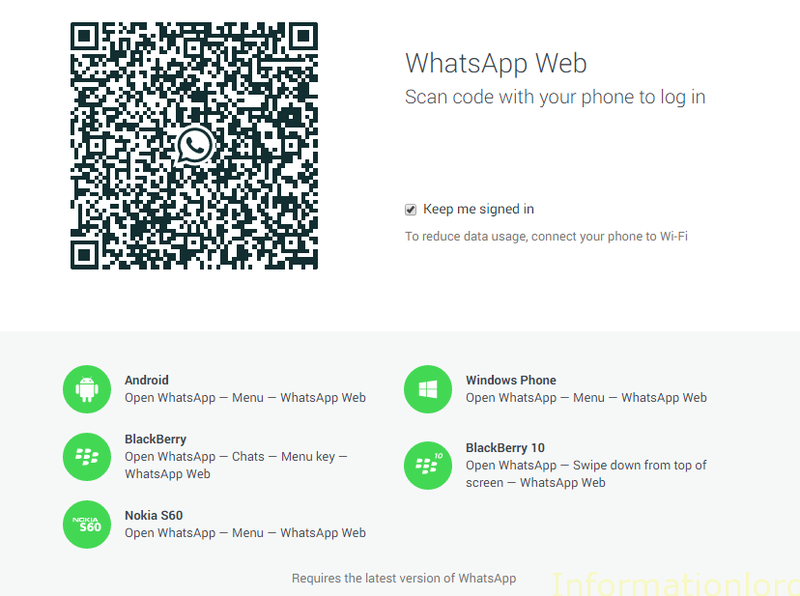 Now open WhatsApp which is installed on your Mobile phone and then Scan the QR Code by selecting WhatsApp Web option in the WhatsApp App. 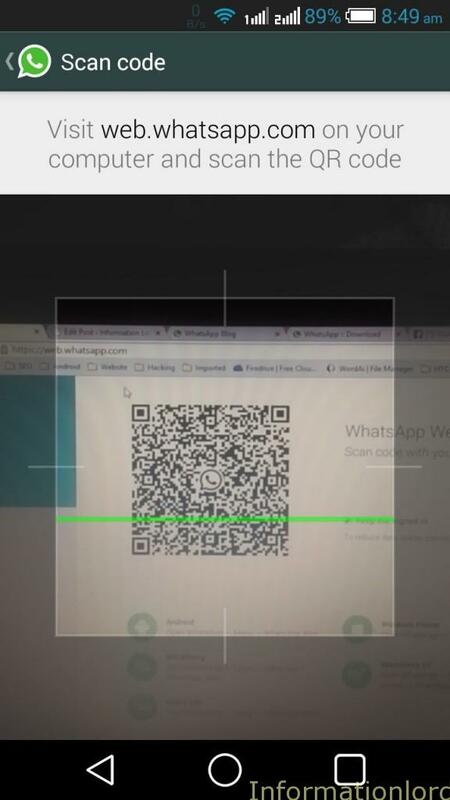 Once you have successfully scanned the QR code then your Chrome browser will automatically refresh and you will be able to receive Messages Online of WhatsApp on Chrome. You can connect to more than one PC at a time by again following the same procedure again. If you are using a public PC then do not forget to Log Out of WhatsApp Web in order to save your private data. Enjoy your WhatsApp Web rich experience! If you are struck anywhere then feel free to comment! Do not forget to subscribe to the website for more such interesting tricks! Stay Tuned and keep digging information. Already published the same here! 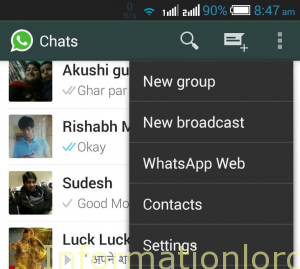 Use GBWhatsApp to Install 2 WhatsApp on Android Phone! Try Reinstall and then install again from playstore!